Born in London on 3rd of January 1926, George Martin is probably one of the most famous and respected producers of his generation, renown for his long-term friendship with the members of cult English pop band the Beatles, as well as being the first producer to grant them an audition upon hearing their songs. On the other hand, George Martin has also composed a handful of movie scores since the early 1960s, alongside his numerous entries as a producer. Obviously, Sir Martin is a man of many talents: the sheer amount of work he has put into the music industry can testify for this. However, his true vocation lies within score composition, and this is something that many people tend to overlook due to the overwhelming importance that popular music has in the eyes of mainstream masses. George Martin's career emerged, like many other artists, from the hardship and carnage of the Second World War. Prior to his departure from military services in 1947, he had served, from 1943 until the end of the war, as part of the Fleet Air Arm: the Royal Navy division accountable for the maintenance and operation of aircraft on board the British war-ships. During all this time he had cherished the idea of becoming a score composer. He would finally come closer to his dream by attending the Guildhall School of Music in London in the late 1940s. Martin graduated in the early 1950s and signed up as an assistant to the manager of the EMI records company, Oscar Preuss. By the time Martin had reached 29 years of age, Preuss retired from EMI. This furthered Martin's position in the company, allowing him to become the sole manager of EMI records. The first artist he signed was Jim Dale who was a successful pop singer, before becoming a comedy actor in the likes of the Carry On films. Martin would prove himself to be quite the "enfant terrible", serving a plateful of rock-n-roll alongside a Bach overture for instance. And just prior to signing The Beatles, he produced a couple of very popular whimsical tracks sung by Bernard Cribbins (coincidentally also to become a comedy actor in the Carry On films): "Hole in the Ground" and "Right Said Fred". In 1962, he agreed to sign a record contract for the Beatles, despite the fact that his response to the early audition was rather sour. However, Martin had one condition for signing them on: he would help them shape their musical concept, re-working the sound rendering and especially the instrumentation, often playing alongside them or even "for" them. This state of affairs would lead him into producing many other artists, and would eventually lead the Beatles into national, and then worldwide stardom. George Martin had definitively managed to revive the mainstream music industry back in the early 60s, but it could be argued that producing such a vast amount of pop musicians has prevented George Martin from developing his own scores on a much wider scale. George Martin's first breakthrough in films came in the shape of a 1961 Peter Sellers' comedy entitled "Mr. Topaze", in which he was asked to work on the title song. The actual score itself was put together by French composer Georges Van Parys. (The previous year Martin had produced the successful single "Goodness Gracious Me" with Peter Sellers and Sophia Loren, though it wasn't accepted for the film "The Millionairess" in which they both starred.) The following year 1962, he would work alongside Muir Mathieson for a Ken Annakin film "Crooks Anonymous". These early works didn't draw much attention due to the fact that both films were somewhat bland. This is very much the case for Martin's following efforts, with films "Take me Over" and "Calculated Risk" in 1963. Martin helped to shape "A Hard Day's Night" which was launched as the 3rd Beatles album and the soundtrack to the film of the same name. 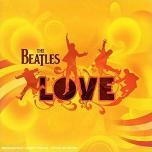 With The Beatles being the headline musicians, George Martin's film credit was as Musical Director, but his involvement was recognised from the film score perspective with an oscar nomination in the "Music Scoring or Adaptation" category in 1964. 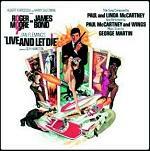 Live and Let Die, the eighth James Bond movie directed by Guy Hamilton, was George Martin's opportunity to stand out. Although the Bond movies went from sweet to sour upon Sean Connery's disappearance from the series, Martin's score managed to capture the same sense of mystery and eroticism that John Barry had displayed in the early movies, even though the orchestration has more of a rock/jazz fusion feel to it, especially the drum sections. This chemistry between old-fashion Bond themes and rock fusion turns out to be Martin's highlight as a film composer. Martin was later to ask Sean Connery to "sing" the title track on his album "In My Life". Before his death in 2016 George sometimes worked with his son Giles Martin on several musical projects. These have included producing and writing music for young New Zealand singer Hayley Westenra, and also the latest Beatles "Love" album. He has also lent his support to garageband.com which supports independent music and unsigned bands. 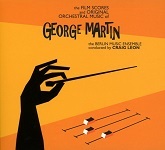 In late 2017 an album was released called "The Film Scores and Original Orchestral Music of George Martin" which was compiled and conduted by Craig Leon. This inclued music from "Yellow Submarine", "Live and Let Die" and a set of Chorales originally created as sketches for the film "The Mission", which was then scored by Ennio Morricone when Martin was unable to complete it due to scheduling issues. The album is available at Amazon.com or Amazon.co.uk. Ferry Cross the Mersey - with another 60s pop band from Merseyside "Gerry and the Pacemakers"
Frost on Sunday - the theme is punningly called "By George! It's the David Frost Theme." A small selection follows of some of the many George Martin credits as producer and sometimes arranger. As well as The Beatles, Martin has also produced hits singles for Matt Munro, Rolf Harris, Flanders and Swann, Billy J Kramer and the Dakotas, Gerry and the Pacemakers, Cilla Black, Paul McCartney (sometimes with Wings, and duets with Stevie Wonder and Michael Jackson), America, Billy Preston, Kenny Rogers, Elton John, Celine Dion and most recently Hayley Westenra.